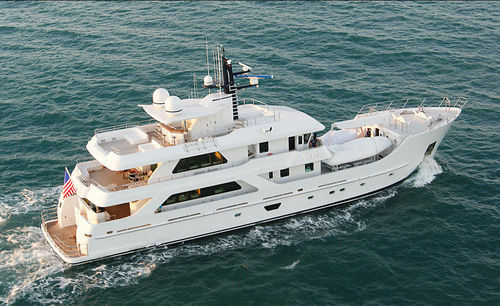 Batai is a displacement motor yacht built by Inace Yachts in Brazil and launched in 2013. 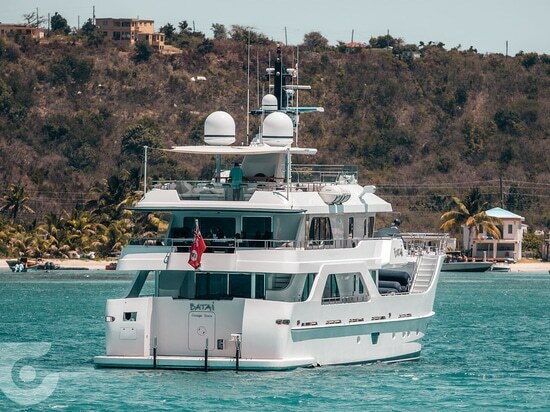 The 38.4-metre expedition yacht is designed by Luiz de Basto and is well equipped to carry an impressive array of adventure craft and tenders on the open boat deck forward of her superstructure. In addition, superyacht Batai can cover a range of 7,000 nm at a speed of 10 knots while accommodating up to 10 guests in her five luxurious staterooms. 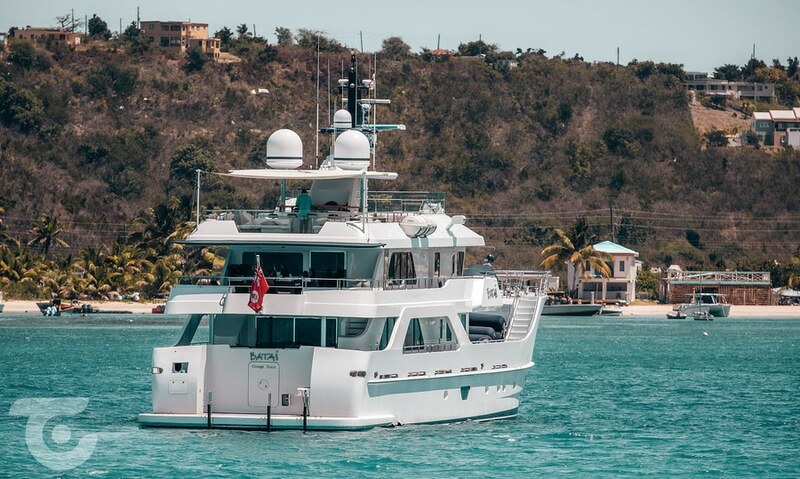 Here she is seen anchored off Sandy Beach in Anguilla.